Unnecessary lines after aplying 3D effects in Illustrator - how to get rid of them? After applying 3D effects I have now many extra lines. I want to leave only the contour lines and delete the rest. I've tried pathfinder options but no luck. Illustator makes the extrusion in a way that the result is splintered. 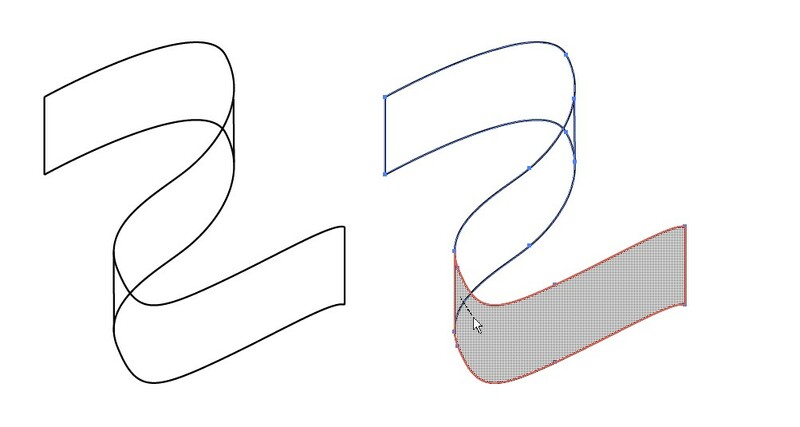 There's a seam (=a line in the wireframe) at least at every anchor point of your curve. Unfortunately there are many more, the process cannot be controlled via user interface. Expand the appearance (it's in Object menu) after applying Free Distort. Otherwise it's very difficult to place the parts because the original curve rules. 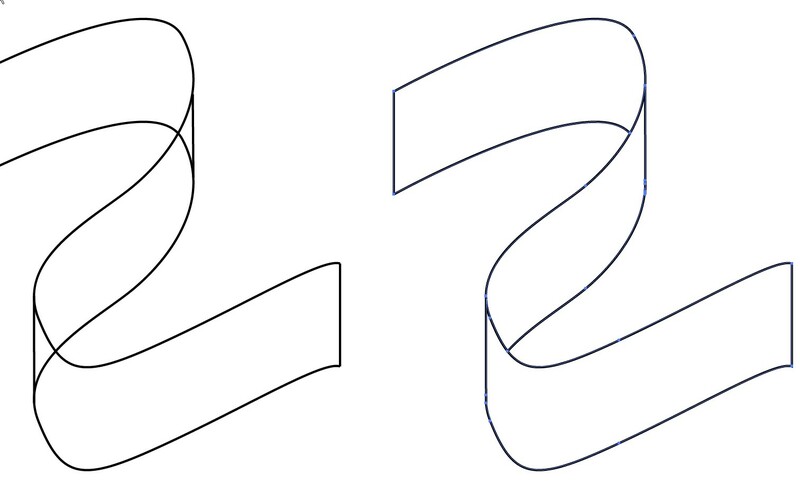 If you add some lines between the curves, they snap easily only between anchor points. So, add anchor points before making a copy. You can achieve arbitary perspective if you distort both curves separately or scale another of the curves after distortion. You can use 3D effect extrusion version as your model. apply Ungroup as long as there's no groups. Then release the clipping mask. 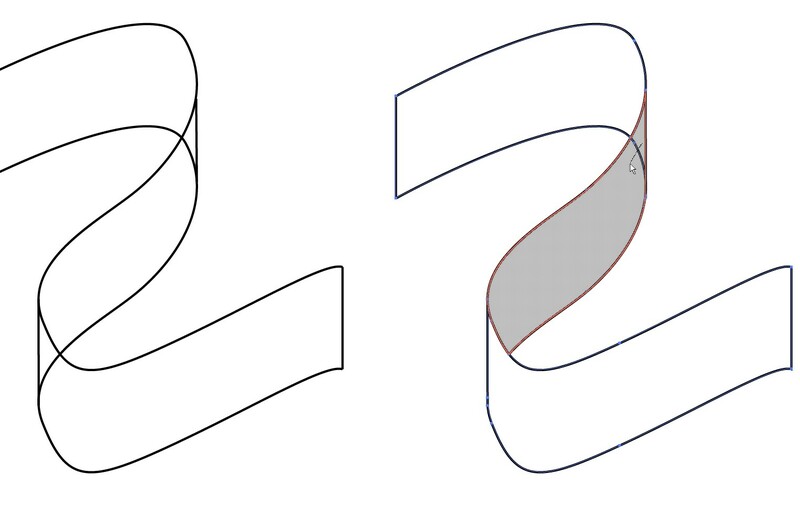 You can split the closed curves and get usable single strokes. 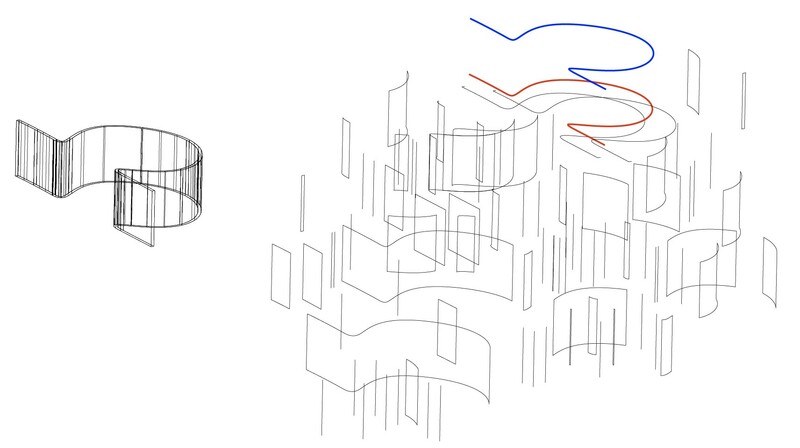 ADD due a comment: Freeware CAD (=DesignSpark Mechanical) makes easily wireframes where hidden lines are removed. It can be taken for edits to Illustrator as PDF print. 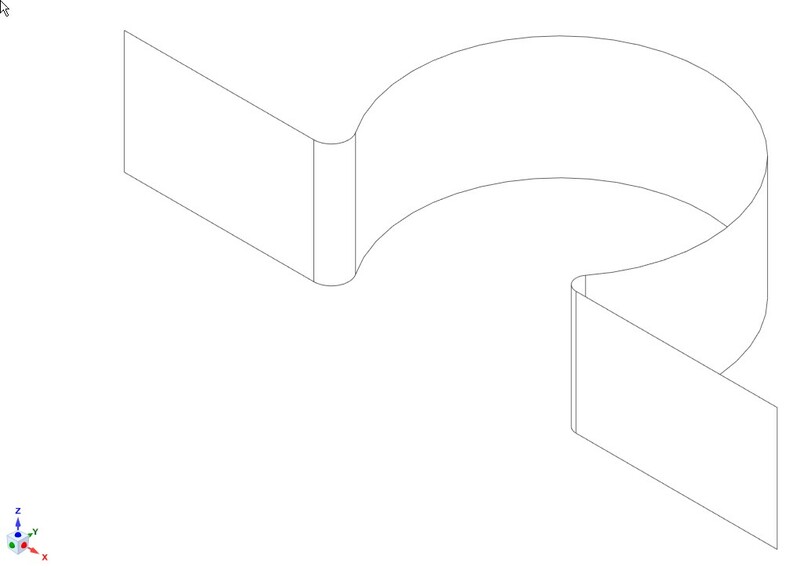 There's seams just where the extruded curve had joints line - curve - another curve. 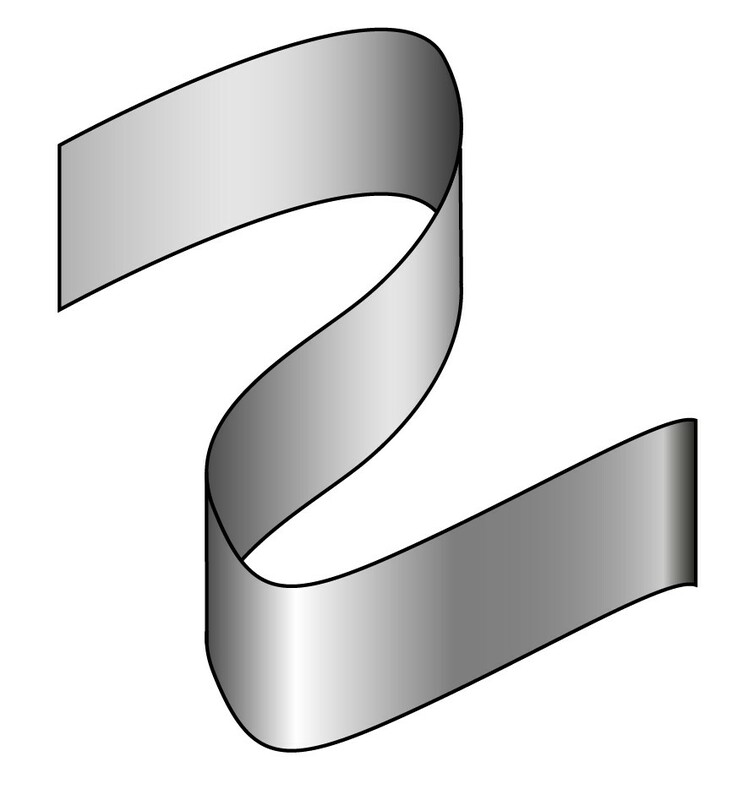 The curves are circular arcs. 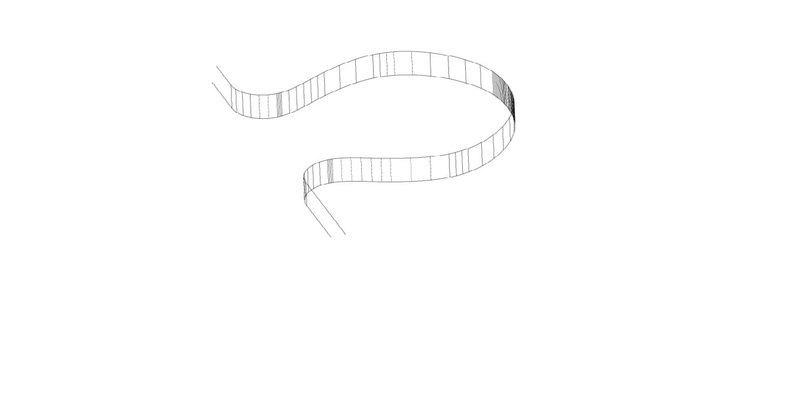 If the drawing was a single spline, there would be no seams. It consists 3 separate closed areas now. Before using the shape builder one must set the forthcoming stroke and fill of the new closed shapes. The original curves vanish, so make spares if you need them. Closed shapes have an advantage: You can color them as you like. Of course a shaded extrusion also can have a good color and it comes with very low effort, but it is not allways as wanted. Can I get rid of all the extra objects that Illustrator creates after I use pathfinder?